Joe holds a High Diploma in Urban and Regional Planning and a Master degree in Energy and Petroleum Economics from Delta State University. Joe has led the work of Project Gaia Research Studies and the Center for Household Energy and Environment (CEHEEN) in Nigeria and East Africa since 2001. 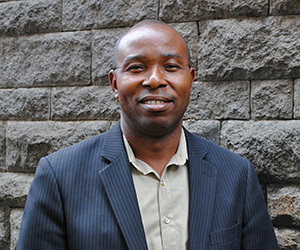 He is a leading consultant in the promotion and implementation of clean household energy projects and has worked in this capacity in Nigeria, Ethiopia, Madagascar, and Rwanda. He has published his research on the role of household energy in rural transformation. In 2009, Joe developed a private sector-led feasibility study and business plan for a national ethanol microdistillery project in Nigeria. Joe won an Ashden Award in 2001 for his work with improved cookstoves in Nigeria.